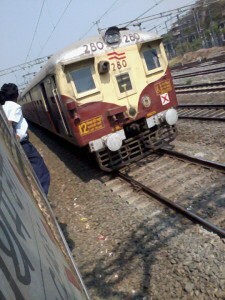 A significant pent-up expectation had developed on the eve of the Rail Budget FY14. But we find the budget wanting in a number of areas like rolling stock capex and track-capex allocation (adjusted for DFC and MTP projects). Resource generation will again fall on freight segment which will bear the brunt of hike (~5%) and extra-budgetary support as passenger fares are untouched. In the Railway Budget for 2013-14, the government has proposed to hike the freight tariffs to pass on some of the increase in the fuel prices to the passengers but restrained from proposing any hike in the passenger fares. The implementation of a fuel adjustment component (FAC)-linked revision on freight rates and the integration of the Mahatma Gandhi National Rural Employment Guarantee Act with the railway-related work are some of the positive steps proposed in the budget. The dynamic fuel adjustment charge for freight introduced in the Railway Budget is quite positive for ensuring timely rate increases on account of fuel price hikes. This would, however, adversely affect user industries like coal, cement, steel, etc, as freight costs would increase. What the Market Expected for a Bull Run from Railway Minister ? The Railway Budget Lacked focus on the public-private partnership (PPP) route to attract investments in the sector, which is known for its capital-intensive and long gestation nature. The flip side of it is the sharp jump in the capital outlay headline figure is deceptive and a large part of the jump is related to the higher allocation for investments in government undertakings, joint ventures etc rather than allocation for components (other manufacturing items) and development of infrastructure (like gauge conversion, doubling of lines, rolling stocks, signalling system etc). Let us hope that P. Chidambaram will not leave Investors in a Lurk. Hopefully we get Growth & REforms oriented Budget from P.Chidu 24 Hours from now.